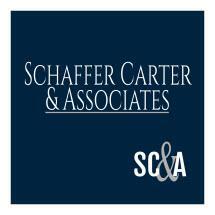 At Schaffer Carter, in Houston, Texas, we are ready to help you protect your rights and freedom after being charged with a state or federal crime. Since our firm opened our doors in 1988, we have been devoted to the practice of criminal defense law. Our attorneys offer extensive trial experience in all areas of criminal defense in jurisdictions throughout the United States. We provide exceptional client service and vigorous representation. You will have confidence that you can rely on us to meet your needs. We have been in the same office for nearly fifteen years and will be at your side until your case is fully resolved. We are proud of our record of successful representation. The majority of our clients come to us after being referred by other satisfied clients or other legal professionals who speak highly of our reputation for excellence.